The show as a whole is pretty amusing, and a mostly straightforward adaptation of the comic, albeit in a truncated fashion because there are a whole mess of different couples in the comics. With only a single cours of half-length episodes to work with, a lot of my favorite characters only appear as cameos, if at all. 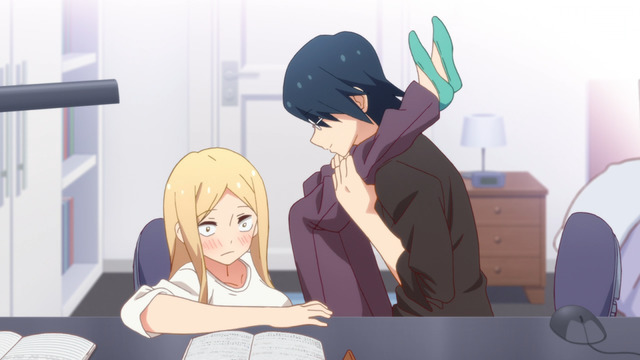 Notably, the anime is sorely lacking in Patricia, whose running gags spill over into the stories of a number of other couples, including the (also missing) teacher-student pair. The anime also omits the musician who hides her secret identity (poorly) behind a mask that she refuses to remove. Thankfully, the anime does properly retain the visual gags involving the couples it does feature, and the timing for the gags are impeccable. 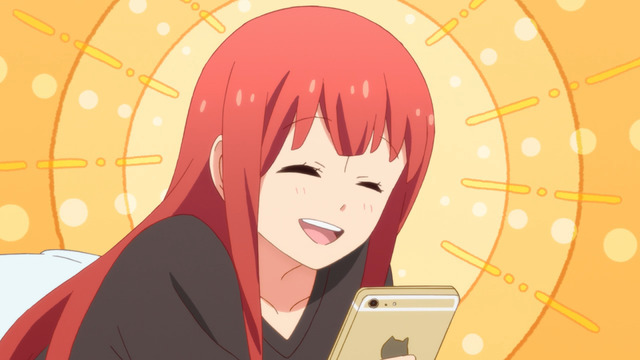 I would be in favor of Tsuredure Children getting another season, but chances are it will remain in the single-cours pit along with other good romantic comedies that feature intersecting narratives such as Nijiiro Days and Hatsukoi Limited, alas.